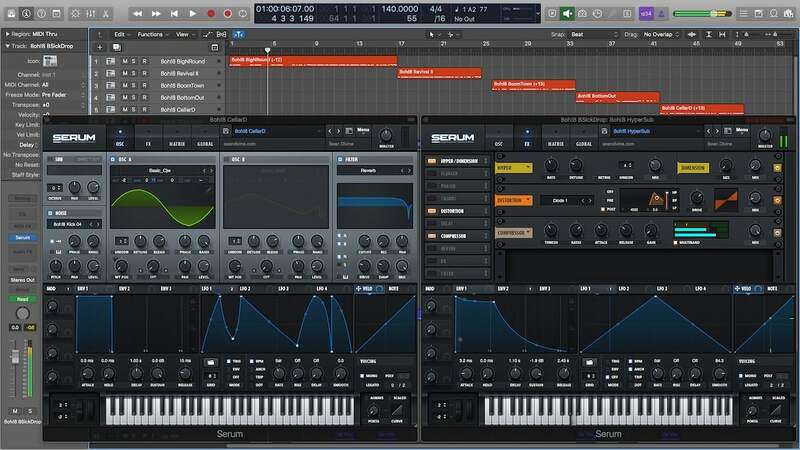 Fully Customizable 808-style Bass Presets for Serum. 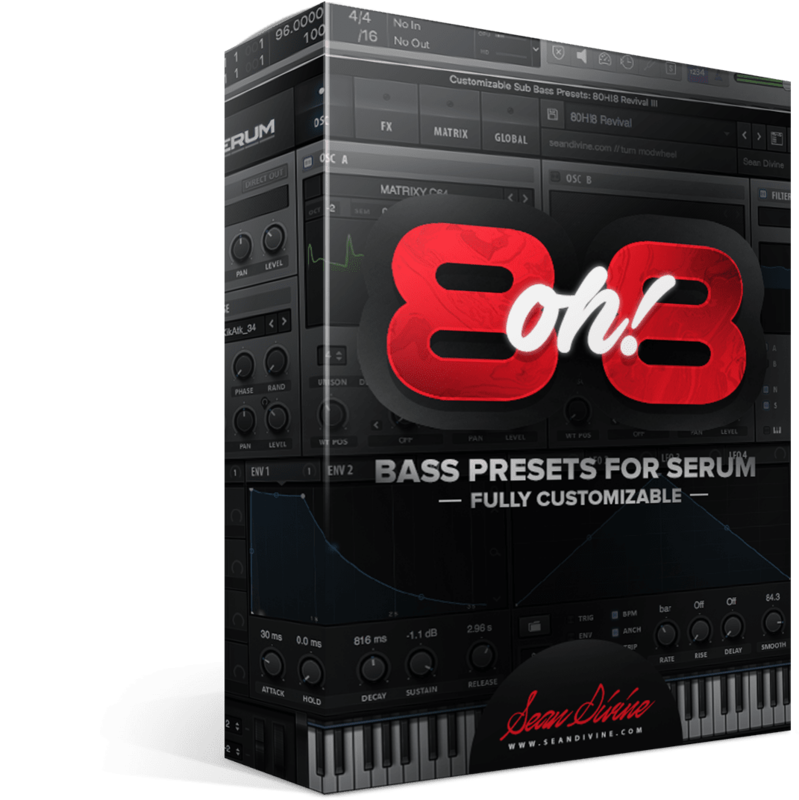 8oh!8 uses Serum’s cutting-edge oscillators which are carefully mixed with kick drum “transients”. This blend creates seamless bass / kick combinations and endless customization for your productions. You have precise control over the most important aspects of your bass: the kick (attack), the sub (tail) and the bending or “glide” with a one-of-a-kind style. 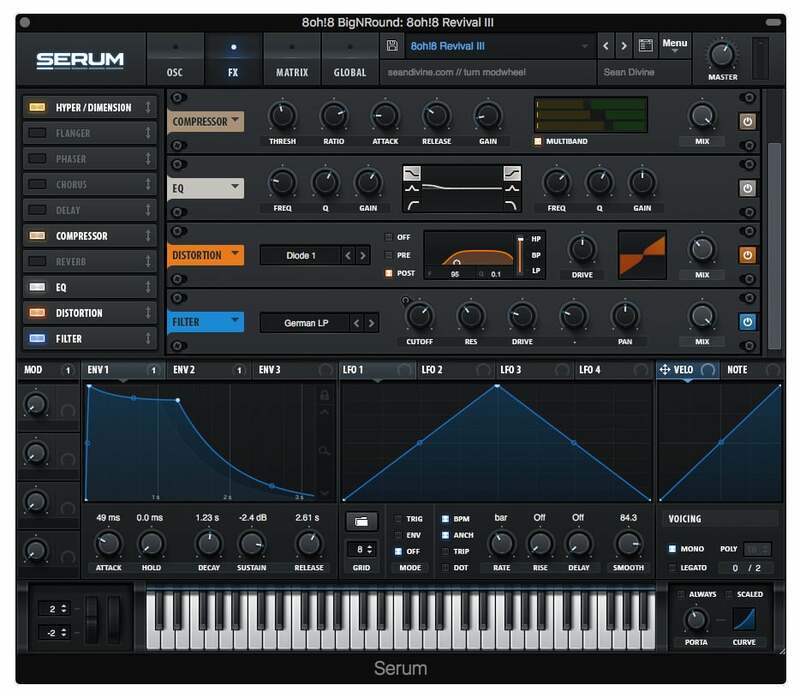 Uniquely mixed 808-style bass sounds are now at your fingertips, made possible with Serum’s effects, mod routings and advanced synth engine. **All bass sounds are directly from 8oh!8. No external effects used. Included in this preset collection, you’ll find earth-shaking basses, punchy kicks that cut through any mix, wide sub basses, futuristic low-end sounds and much more. 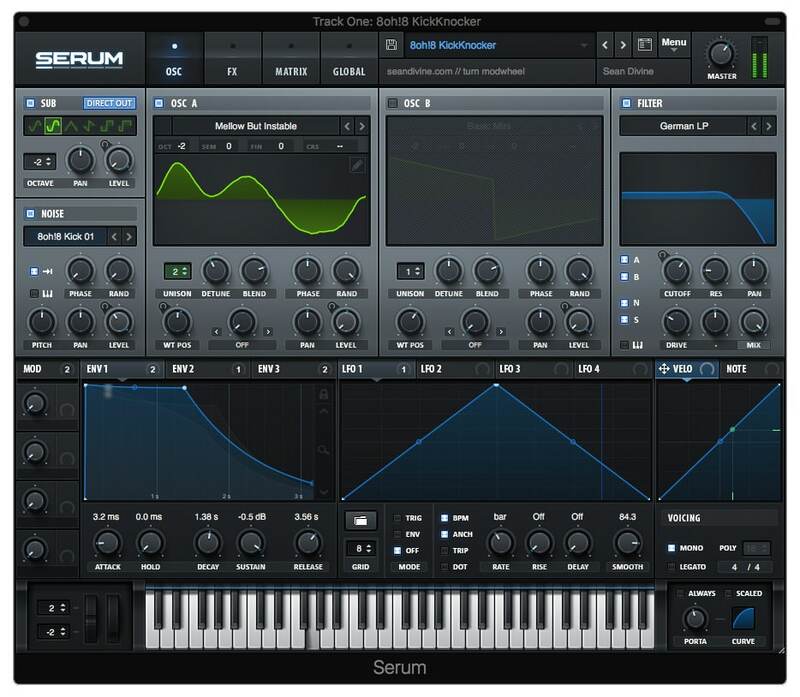 All presets are mixed and production ready, utilizing Serum’s world-class effects, modulation and performance settings. 8oh!8 was designed to make using 808s easier, more fun and with distinction! Don’t own Serum? 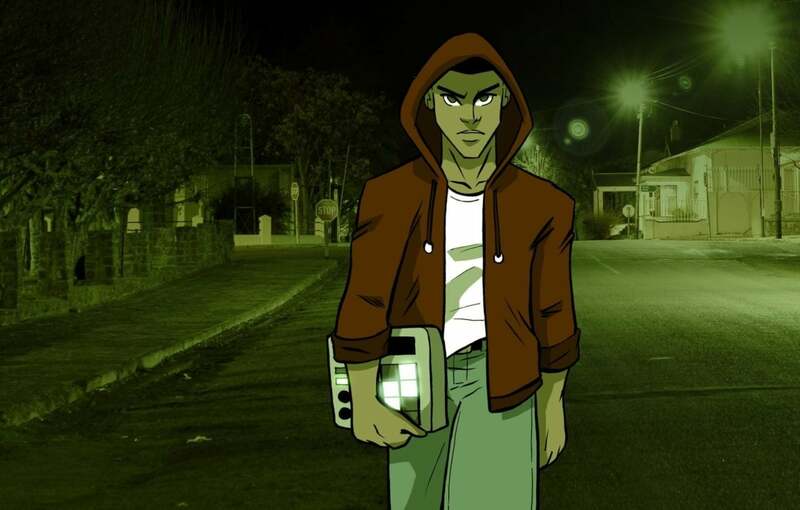 Download Demo | Rent it! 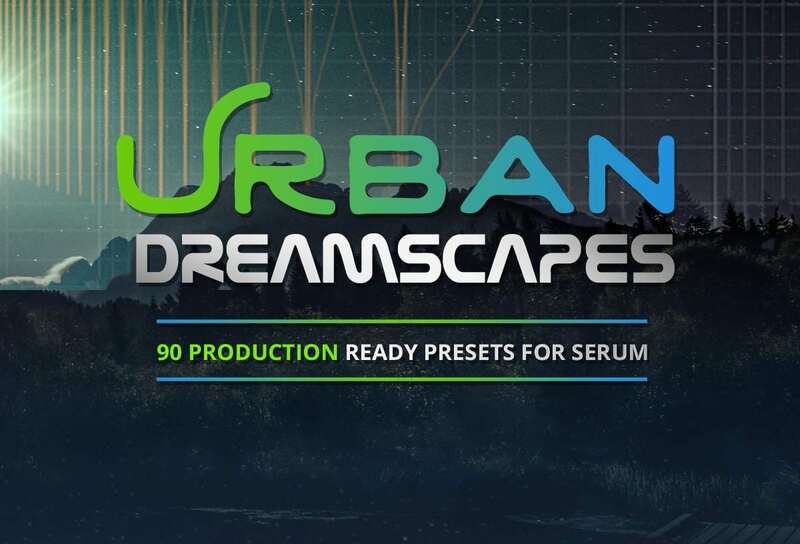 Welcome to Urban Dreamscapes. 90 Wildly Inspiring New Synth Presets for Serum.